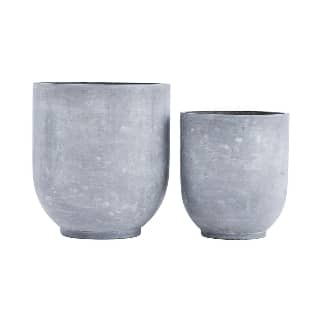 These Concrete Planters are designed by House Doctor in Denmark and made from a resiliant faux concrete. The finish is smooth and very effective. Use indoors or out for a stunning effect.